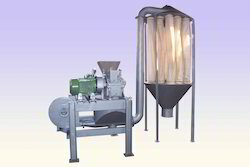 Leading Manufacturer of plastic pulverizer from Mumbai. We have in stock for our customers an array of Plastic Pulverizer which are extensively used for perfect grinding of rigid & soft PVC, LLDP, LD, HDP, PP, Plastic Scrap and others. Excellent for grinding Plastic scrap with minimum maintainence cost. Looking for Plastic Pulverizer ?